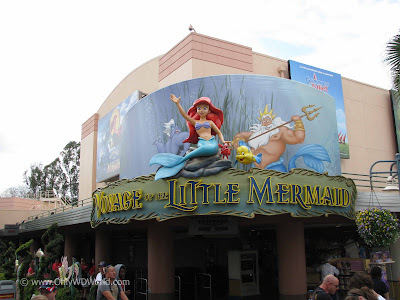 If you are travelling to the Walt Disney World Resort with young children get ready for a magical vacation that only Disney World can provide. 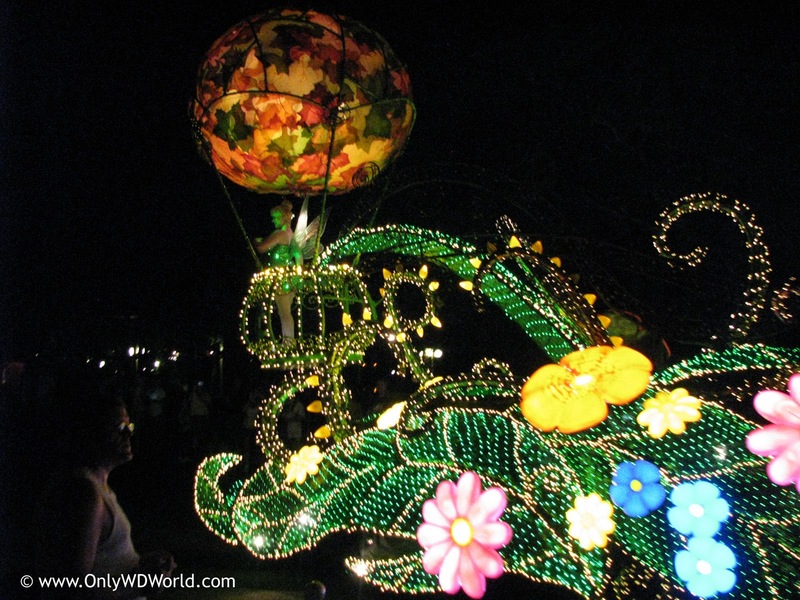 The best way to take advantage of what the Walt Disney World Resort has to offer is to do your research and plan ahead. 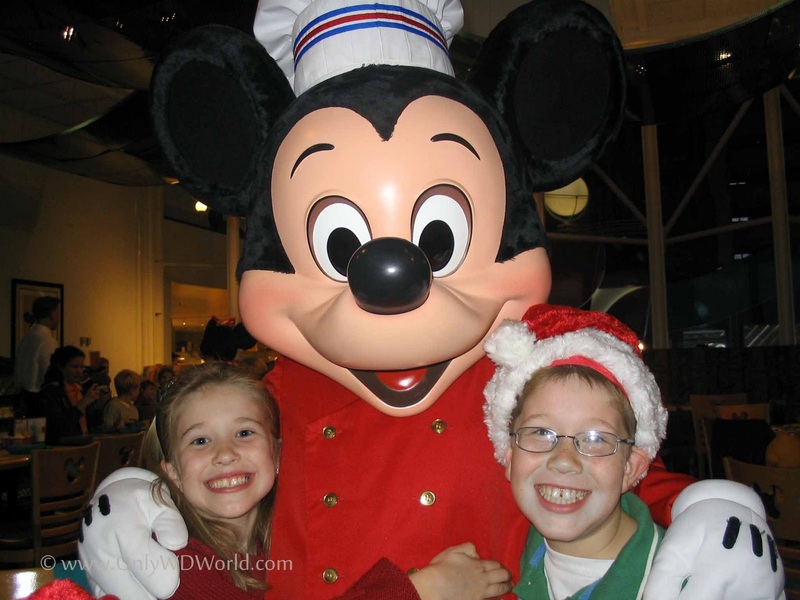 Only WDWorld will help you plan your upcoming Disney World Vacation by sharing some of the Top Restaurants, Shows, & Attractions for Families with Young Children that should be on your "Disney Must Do List." Kid friendly food choices while still offering great food for adults to enjoy. Fast food service to keep children from getting restless. Entertainment while you are eating to make it an experience that they will remember long after the vacation is over. Fortunately Disney World offers several restaurants that provide dining experiences that meet all of these criteria. They are called Disney Character Dining Experiences and there are several to choose from. All are located at restaurants that offer either buffet or family style service in order to speed up the food service and provide ample food and choices no matter how picky your young eater is. 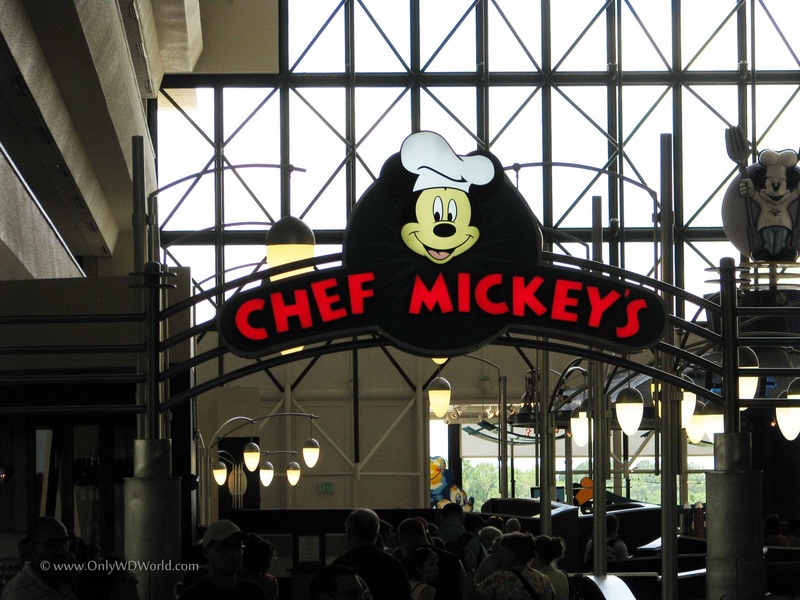 Chef Mickey's - This buffet meal served at Disney's Contemporary Resort is hosted by none other than Mickey Mouse himself! No Disney World Vacation is complete without spending time with Mickey and this is the best way to do so. Mickey and friends not only entertain the entire restaurant, but they make personal stops at each table for autograph signing and photo opportunities. 1900 Park Fare - This buffet restaurant housed in the luxurious Grand Floridian Resort may not be as well known as dining in Cinderella Castle, but this may be the best way to meet Cinderella, Prince Charming, and the Step Sisters. 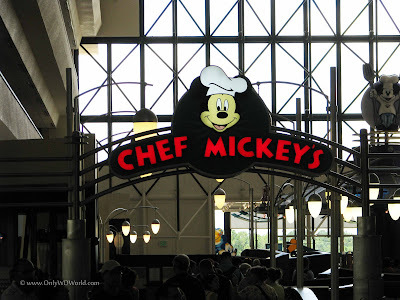 Crystal Palace - This buffet located within the Magic Kingdom is host to Winnie The Pooh, Piglet, Tigger, and Eeyore. The food is great and even the adults can't wait to get their picture taken with Pooh and Tigger. Princess Storybook Dining At Akershus Royal Banquet Hall in Epcot Norway. This might be the best way for your little Princess to meet the Disney Princesses. Although you may not always get to see Cinderella, your will get to meet a large number of the other Disney Princesses while dining here. The photo opportunities that you get here are priceless as each Princess comes to your table to sign autographs and pose for pictures with your family. 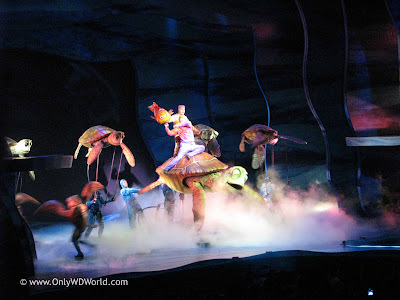 Festival Of The Lion King - This live action show with your favorite characters from The Lion King has singing, dancing, acrobatics, and audience participation that is enjoyed by Disney Fans of all ages. Finding Nemo - The Musical - Disney made a daring move by turning a non-musical movie into a musical stage show with tremendous success. You will love the puppetry and live singing. A must see that is loved by all ages. Flights Of Wonder - The animal lovers in your family will enjoy this show that features 20 species of live birds. Here you learn about the birds while you are entertained. Beauty and the Beast - Live On Stage - This Broadway Style Musical brings this Disney Animated Classic to life right before your eyes with bright costumes and great singing and dancing. Another favorite for guests of all ages. Disney Junior Live On Stage - See your favorite Disney Junior Characters in this special show geared for young children. When visiting the Magic Kingdom don't forget to catch one or more of the Parades. Currently the afternoon parade is the Celebrate A Dream Come True Parade and the night time parade is the Main Street Electrical Parade. 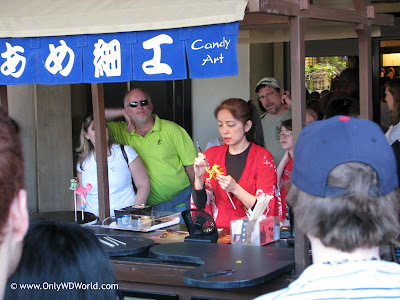 They are totally different experiences and a great time to grab a snack and relax, while watching the parade go by. The Dream Along With Mickey Stage Show takes place in front of Cinderella Castle. See Mickey Mouse and Friends sing, dance, and battle Maleficent. Monsters Inc Laugh Floor - Meet Mike Wazowski and your other favorite characters from Monsters Inc in this kid friendly live comedy show featuring animated characters interacting with the crowd. In Epcot the best entertainment is found in the various countries of the World Showcase. 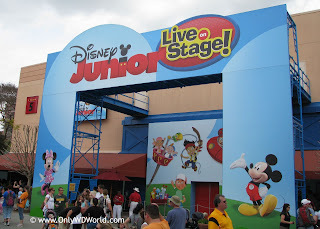 In addition to the entertainment listed below there are opportunities for children to interact with Cast Members from each Country to learn what life is like there. Jeweled Dragon Acrobats - these Chinese Acrobats will astonish the on-looking crowd with their feats of balance, flexibility, and daring. 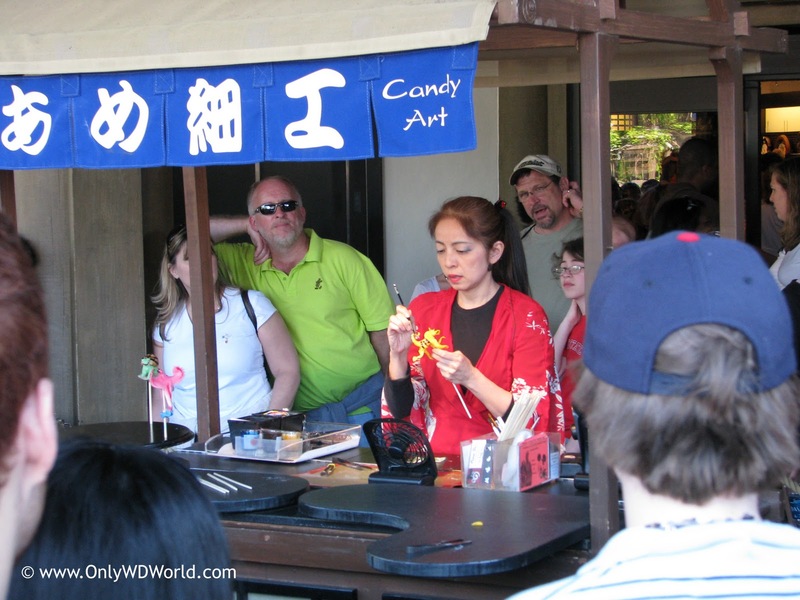 Miyuki - The "Candy Lady" demonstrates an age-old Japanese tradition by creating beautiful animals right before your eyes from the taffy-like candy. Turtle Talk With Crush - This is your chance to interact with an animated Crush from Finding Nemo. Be amazed as he interacts with the crowds and answers questions from the children in the crowd. Kilimanjaro Safaris - Travel on a "two-week" safari of the Harambe Wildlife Reserve to see an amazing array of animals in their natural habitats. 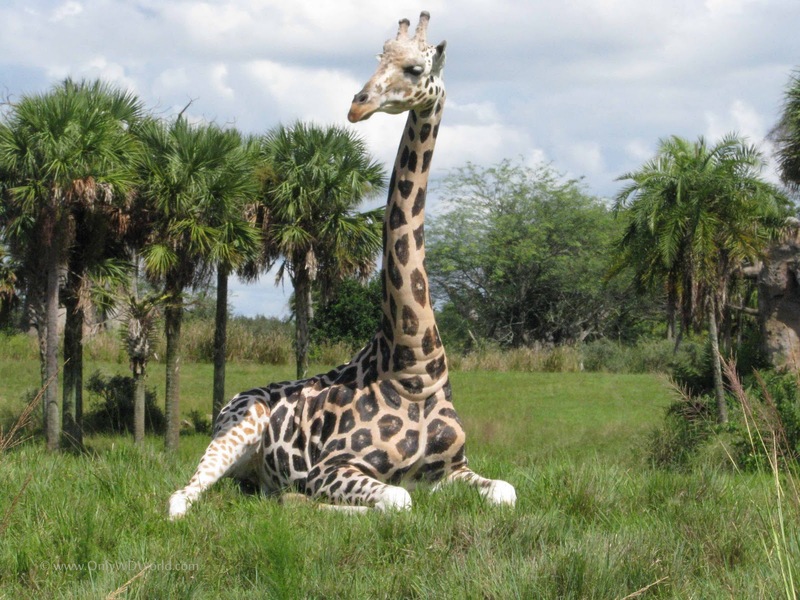 Affection Section at Rafiki's Planet Watch - Get a chance to pet the animals and spend some time learning about them. Tricera Top Spin - This dinosaur themed "Dumbo-style" ride is great for all ages. 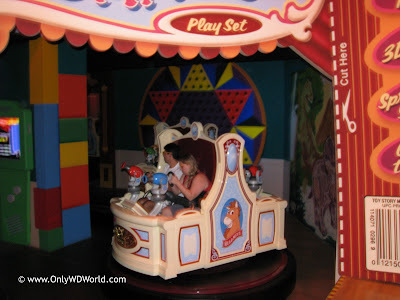 Toy Story Midway Mania - This continues to be the most popular attraction in all of Disney World. These series of games are easy to play, but hard to master. Shoot the targets to score points, but most of all Have Fun! Muppet*Vision 3-D - The Muppets are at it again, but this time they venture to the realm of 3-D pranks and gags. Fun filled entertainment and corny jokes that the whole family will love. Mickey's Philharmagic - A 3-D romp with Donald Duck through scenes of your favorite Disney Animated Classics. Mickey Mouse comes in to save the day and restore order to the calamity that Donald causes. Buzz Lightyear's Space Ranger Spin - Shoot targets to score points and help Buzz Lightyear stop the Evil Emporer Zurg. "it's a small world" - Classic Disney Attraction in a park filled with classics. 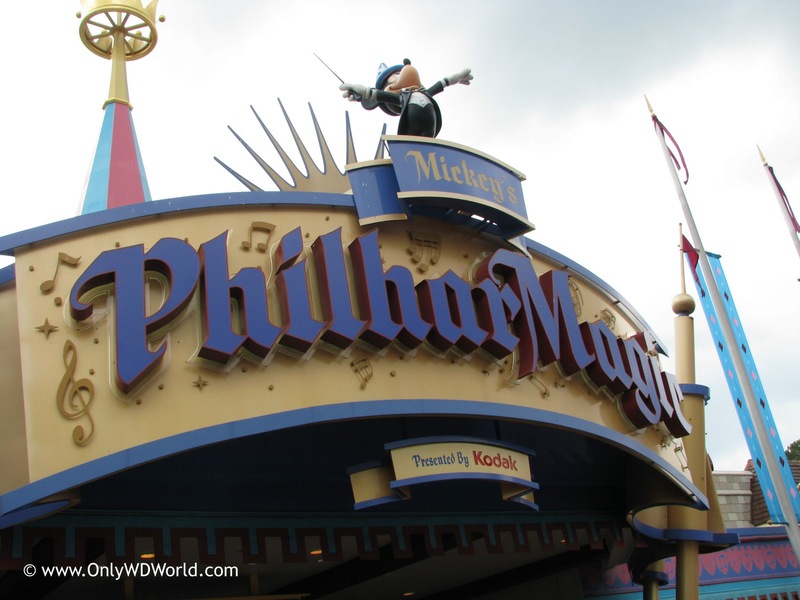 Just sit back, sing along, and enjoy the multitude of animatronic figures performing. Walt Disney's Enchanted Tiki Room - This musical show has returned to its roots and is better than ever. be serenaded by a variety of birds, flowers, and tikis during this Polynesian flavored show. Peter Pan's Flight - Take off with Peter Pan as you fly over London and through Neverland. This ingenious ride vehicle provides a great experience in this classic attraction. Soarin' - Epcot's most popular attraction with all age groups. Hang glide over the best sights that California has to offer. 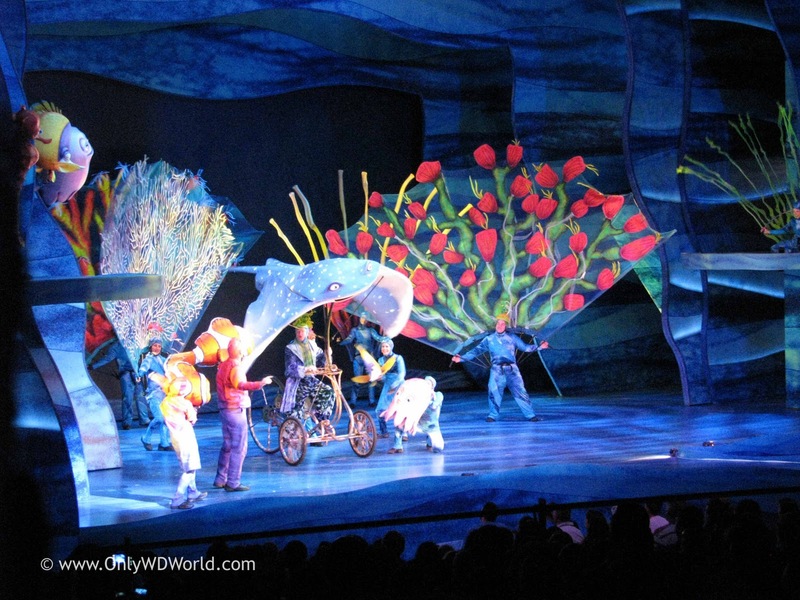 The Seas With Nemo & Friends - Take a ride on a Clamobile through the world of Finding Nemo and into a vast array of marine life including dolphins, sharks, rays, and sea turtles. 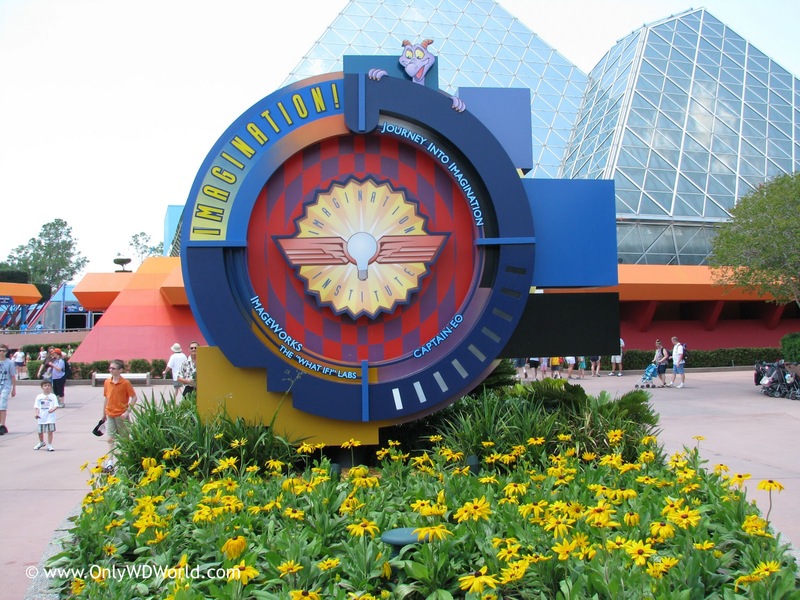 Journey Into Imagination With Figment - Follow Figment the dragon through a lesson in how to use your imagination. 3 comments to "Top Disney World Restaurants, Shows, & Attractions For Families With Young Children"
Gerry - You are correct Soarin' does have a minimum height restriction of 40". It made the list because it is the gentlest of Disney World's E-Ticket thrill rides and kids of all ages love it! Visiting such park are very helpful in building up you child's positive character. Children's play centre equipment is not only intended to provide fun but it is also design to build positive characteristics in your kid.